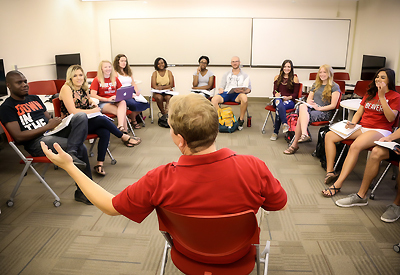 Academic advising is a personalized, interactive, and intentional process in which the advisor helps the student set and achieve academic, career, and personal goals. The advising process will incorporate respect for and engagement with all cultures, people, and points of view. The student will acquire relevant information and services to make responsible decisions consistent with interests, goals, abilities, and degree requirements. The desired result is that the student will feel a connection with the advisor and a sense of guidance, while realizing personal responsibility for exploring options and making decisions. Academic advising at Minot State University is committed to student success and promoting growth and development of all students through life-long learning, engagement, and advancement of knowledge.